You don't know what you're missing. But chances are good that you're missing this. 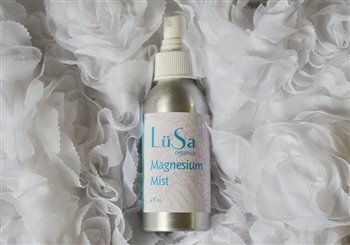 Our Magnesium Mist is made with simple, real ingredients. Spray it on once and you'll never want to go without. Limited edition product! Get it while you can. Spray on the soles of your feet at bedtime daily, or as desired. Slip on a pair of cotton or wool socks and allow to absorb fully. Can also be applied to abdomen if preferred.